Psalms 112:1-2 Praise the LORD! Blessed is the man who fears the LORD, who greatly delights in his commandments! His offspring will be mighty in the land; the generation of the upright will be blessed. Today is Father’s Day…yes, it is a Hallmark moment but the importance of this day should not be lost. And so, I want to take the time to do just that and tell you about the father in my life. 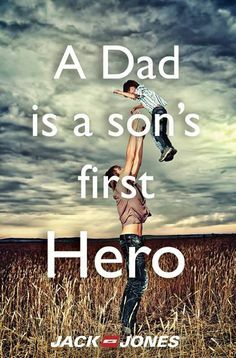 He is my sons’ dad, my husband, their daddy, best friend, confidant and hero. He is the strongest man in the world, according to my then 6-year old, Thing 2. He is the man who I fell in love with, literally, on the first date. I fought that feeling for a long time because I didn’t like being out of control…yet God knew. When He decides His plan for us, well – it is best not to argue. He knew this guy was going to be an amazing Dad. A better Dad. A man’s man to be able to raise men of strong heart, mind and soul. There is nothing meal-toast about my guy. He does everything big. Big laughter, big heart, big tears. I have watched him sob at the birth of his children, and fire up when someone messed with his son. I have seen him argue fiercely over some point, and then own it and ask for forgiveness from his younglings. My favourite picture is of him throwing each boy high in the air…and then always being below to catch them when they fall. It is a metaphor for the way he father’s them. Let them fly when they are ready, never leave when they need catching…. My Kids’ Dad is the guy who volunteers to coach lacrosse for Thing 1 because without him there would be no team. He is the man who cooks better than I do and has ignited the passion in Thing 2 to do the same. He taught our boys to love boxer dogs and more importantly to love themselves. My guy lives life loud. He knows the importance of family and in our family coined the phrase, “Thank you for being my son.” He is an only son and a man who became overwhelmed that day I told him we would have a second son and brother for Thing 1. It was a fulfillment of his dream. Yes, God is that good. My kids’ Dad is building a legacy in his young men. He has taught them in words and deeds the importance of God, family and to question proverbial wisdom of the day and to choose right from wrong. He holds them and himself accountable – there is no favoritism in this house. He is the fella who is “real” with his boys, who understands the pressures of being a teen and helps them to understand that no matter what, it really WILL be alright. He sets boundaries and enforces them with love. He raises standards and pesters, pushes and pulls our younglings to do the same. At the end of the day – they are and will continue to stand strong on a foundation of faith and love – as it should be. He has come along side me to raise son’s who have strong minds, and compassionate hearts. They are gentlemen because they have been raised by a gentlemen. They are wild at heart because their father is as well…and they too have big laughter, big hearts and big tears. Psalm 103:17 But from everlasting to everlasting the Lord’s love is with those who fear him, and his righteousness with their children’s children. I know this man, your boys and you and will convey upon him the best expression of admiration I can and call him “a great Man of God”. Let me say that it is a blessing to know not just him but your whole family. More importantly it is a blessing to my son to know your husband and to have had him as his coach once upon a time. As you know I am a bit rough around the edges and society thinks and expects Christian men to be wimps and weaklings in life, business and politics. God is no wimp or weakling nor is His son our Lord and Savior. For my son to see a man like your husband stand as a strong man and a balanced man in all things is something he can carry with him his whole life and know that the wimps and weaklings are not real men of God. I am blessed my son is friends with your sons and see that being a strong kid for God and soon to be a strong man of God is really the right way to go and he is not odd in that respect. May God bless your whole family. This touched my heart and made me feel grateful for your husband. LOL! What I mean is I am so grateful for men who chose to honor God and love their wives and children. I like to refer to my husband as God’s best for me. So as I read your words, I identified with the “best” blessing that God has given you. Thank you so much for sharing.